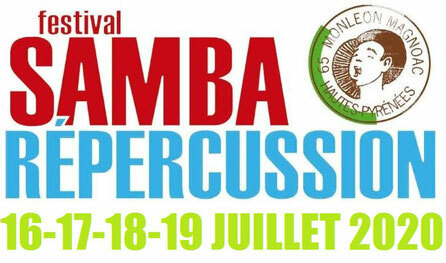 Samba Répercussion is a festival which grew out of the shared passion of a group of friends for samba and batucada (Samba Roualé), and a common affection for their native Magnoac, a region situated in the département of Hautes-Pyrénées in south-west France. It all started in August 2003. Clément Cousin came up with the ambitious proposal to make Monléon-Magnoac an international venue attracting lovers of Brazilian music from all over Europe. His friends were won over and the project was launched. Imagine a village of 360 inhabitants playing host to 7,000 people for several successive days, pulsating night and day with batucada rhythms and the sound of Brazilian music. Imagine a small French village transformed into a meeting place for batucada bands from all over Europe, a platform for hundreds of musicians, for workshops and courses mentoring new talent, hosting a vast stage, showcasing Brazilian groups and performers, exhibitions, visual art and photography, quiet zones, eco-friendly decor and colourful props, all of this against a backdrop of themes that matter to everyone (ecological and social issues, awareness, positive energy ...). The festival’s first edition was successfully staged in 2004 with an attendance of over 1,500. And it never looked back – at the 2008 edition, supported by a team of 95 volunteers, attendance figures soared to 8,000. That year, two factors came to the forefront. First, the burden of the annual financial risk for the festival association, where the project is eighty-five per cent self-financing with a budget requirement of over 100,000 euros. Second, the enormous energy reserves needed to get the project off the ground. A dual challenge which ended up placing too much strain on the organising body: putting the festival on the back burner became unavoidable. 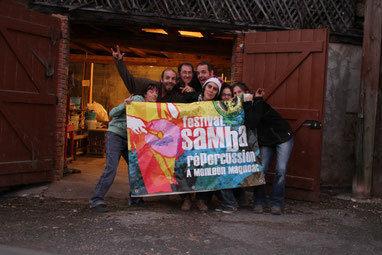 Samba Répercussion, inspite of the long interlude, was still widely seen as a landmark event, one whose disappearance had left a major gap in the Brazilian musical scene in France – without knowing it, public opinion had begun to fan the flames of its return. It also became apparent that although creative talent and cultural activity are well represented in the local community, what is missing now is the impressive cultural showcase Samba Répercussion with its powerful festival dynamics had brought to the Magnoac area. In August 2015, Clément COUSIN put an end to the temporary hiatus. 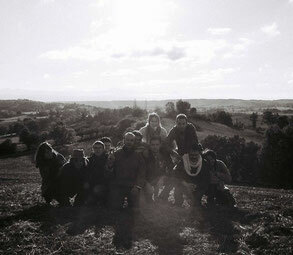 He began planning a new edition of the festival with a new organising team. Several members of earlier teams are back and newcomers with experience in event management have joined them. They bring a vast fund of positive energy which will contribute significantly towards meeting the artistic, cultural and social challenges that the relaunch of the festival represents. From now on, the event will be something to look forward to once every two years. The biennial cycle will slim down the organisational process, reduce financial risk and make room for fresh ideas.